However, during the same period, over 261,000 permanent residents had their Form N-400, Application for Naturalization, denied. In fact, the number of denials increased in every quarter of fiscal year 2018 under the Trump administration. There are many reasons for this. 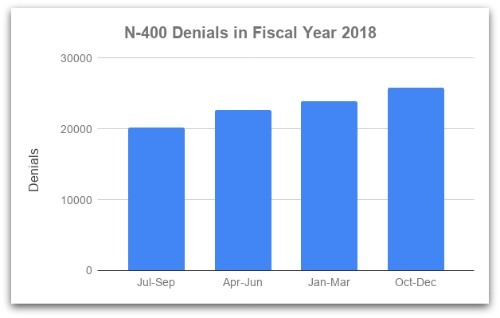 We’ve compiled a list of the five common reasons for a continuation or denial of a Form N-400 application. It’s important to understand that by filing N-400, the applicant is inviting U.S. Citizenship and Immigration Services (USCIS) to thoroughly review the immigrant’s entire case file one more time. There can be risks associated with this. USCIS may uncover something it didn’t find before. Therefore, it’s worthwhile to understand where other applicants have run into trouble. If you believe one of the following scenarios may affect you, speak to an immigration attorney before filing Form N-400. If you fail the English and/or civics test in your initial interview, USCIS will schedule you to come back for another interview within 60-90 days days of your first interview. USCIS will only retest you on the part of the test that you failed. However, USCIS will deny your N-400 form if you fail the test(s) a second time. Most people pass the tests. If your English isn’t strong, take advantage of the flash cards and study tools on How to Prepare for the Citizenship Test & Interview. It is also helpful to thoroughly review your own Application for Naturalization (N-400). The USCIS officer will most likely ask you about your answers. Be able to explain your answers. So practice with a friend or family member if your English skills need some work. have a mental or physical disability that prevents them from learning English. If you want to claim an exemption based on a disability, you need to file USCIS Form N-648, Medical Certification for Disability Exceptions, with your Form N-400. A licensed medical doctor or licensed clinical psychologist must sign the certification. When applying for naturalization, USCIS will obtain your biometrics and run a criminal background check. But USCIS is also interested to know if you have committed a crime in other countries as well. These factors contribute to meeting the good moral character requirement. Some crimes will permanently bar a permanent resident from U.S. citizenship while other crimes create a temporary bar. If you have ever been convicted of a murder or aggravated felony, you will most likely be permanently denied U.S. citizenship. These are automatic bars, meaning the USCIS officer has no discretion in the matter. Aggravated felonies in immigration law can be defined somewhat differently than they are by state courts. The immigration definition of aggravated felony can includes crimes that might surprise you, including some that other courts may classify as misdemeanors. For example, any crime of violence, or theft or burglary that resulted in a prison term of one year or more will be considered an aggravated felony. Volume 12, Chapter 4 of the USCIS Policy Manual describes permanent bars to the good moral character requirement. On the other hand, some crimes make an applicant temporarily ineligible for U.S. citizenship. In most cases, the applicant can wait a required number of years — typically five years or three years for applicants married to and living with a U.S. citizen — before reapplying for naturalization. However the crime will still be reviewed by the USCIS officer, and the officer has the discretion to make a decision if the applicant meets the good moral character requirement. Volume 12, Chapter 5 of the USCIS Policy Manual describes these conditional bars to the good moral character requirement. If you have ever been arrested, speak with an experienced immigration attorney before filing Form N-400, Application for Naturalization. You can’t avoid the problem. A criminal history will catch up to you even if you want to remain a permanent resident. (Read Renewing a Green Card After an Arrest.) Consult with an experienced attorney that can help review your record and potentially help with post-conviction relief. As a permanent resident, you a free to travel outside the United States and visit family in your home country. If your goal is to become a U.S. citizen, it is important to understand the continuous residence and physical presence requirements. Continuous residence means that the applicant has maintained residence within the United States for a specified period of time. Travel outside the United States can disrupt your continuous residence. You should avoid any trips abroad of six months or longer. Physical presence means that the applicant has been physically present within the United States for a specified period of time over the previous five years. Generally, you must be have 30 months of physical presence in the U.S. before applying for naturalized citizenship. There are exceptions for applicants married to U.S. citizens and those working for the U.S. government overseas. For a more complete explanation of these concepts, read Continuous Residence and Physical Presence Requirements. When you prepare your N-400 on CitizenPath, we provide simple, step-by-step instructions and alerts to help you avoid costly delays. 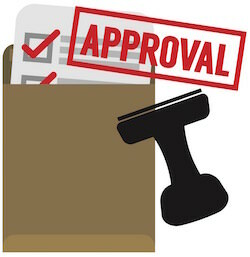 We even guarantee USCIS will approve your application. No credit card is required to start. Many Americans, including permanent residents, are experiencing financial problems that have resulted in foreclosure, bankruptcy, and unpaid debts. The good news is that debt alone is not a bar to naturalization. However, there are some financial issues that affect the moral character requirement and could interfere with your ability to naturalize as a U.S. citizen. Failure to pay taxes is a common reason to have a Form N-400 denied. If you let USCIS find this problem, you will likely be denied citizenship. Contact an immigration attorney and tax adviser that can help you develop a plan to pay the taxes and demonstrate to USCIS that you’re fixing the problem. 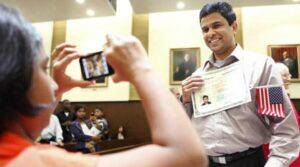 By addressing the problem, most people can continue the naturalization process and avoid an N-400 denial. Another common issue for N-400 applicants is the willful failure to support dependents. If an applicant for naturalization has a minor child or children who do not live with the applicant, it is necessary to prove that the applicant is providing adequate financial support. If there is a court order of support, it’s important to have evidence of compliance with that order. An applicant that fails to make timely child support payments could have the Form N-400 denied. If USCIS believes that your answer to a question is deceptive or untrue, your Application for Naturalization will be delayed and could be denied. It doesn’t matter if the error was innocent. You must make sure that your application for naturalization is true and accurate when filed. If the information is difficult to obtain and you cannot obtain it (e.g. travel history), you must be able to show that you’ve made a reasonable effort to find the answer. During the naturalization process, USCIS will review your history. If the officer determines that a green card was issued (even many years before) in a fraudulent manner, citizenship may be denied. Likewise, other situations (new or old) that put the applicant’s good moral character in question will hold up the process. Be honest with your answers. If you feel that an honest answer may create a problem with naturalization, that’s a good indicator that you need to speak to an attorney before filing Form N-400. Male candidates may be surprised to learn that Failing to Register for Selective Service can create a major issue when filing Form N-400, Application for Naturalization. Men between the ages of 18 and 26 are expected to register for the Selective Service and provide proof for the purposes of naturalizing as a U.S. citizen. Failing to register can be grounds for denying an application for naturalization. If USCIS determines you need to provide additional documents or evidence, you may be given Form N-14, Request for Additional Information, Documents or Forms. You will need to provide the additional documentation requested to continue the naturalization process. If your N-400 was denied and you feel that USCIS was wrong to deny you citizenship, you may request a hearing with a USCIS officer. Your denial letter will explain how to request a hearing and will include the form you need. The form for filing an appeal is the N-336, Request for Hearing on a Decision in Naturalization Proceedings. You must file the form with USCIS, including the correct fee, within 30 days after you receive a denial letter. CitizenPath helps N-400 applicants avoid these problems. CitizenPath provides simple, affordable, step-by-step guidance through USCIS immigration applications. Individuals, attorneys and non-profits use the service on desktop or mobile device to prepare immigration forms accurately, avoiding costly delays. CitizenPath allows users to try the service for free and provides a 100% money-back guarantee that USCIS will accept the application or petition. We provide support for the Green Card Renewal (Form I-90), Citizenship Application (Form N-400), and several other immigration packages.